We design and build garden pathways and walkways in landscaping. Paving stone patios are a great addition to enhance the look and function of any landscape design. From natural products like flagstone, slate and granite to brick and concrete products, recycled rubber patio products and more. There is a wide variety of paving bricks and stones on the market to work with and compliment any landscape design. Irreco LLC is a full service landscaping construction contractor based in St. Louis, MO. We specialize in the design and construction of brick and stone pathways and walkways for residential and commercial properties throughout St. Louis. From a nice brick walkway meandering through the gardens in your backyard to much larger walkways for a condo or commercial property we have the construction expertise and manpower to complete brick and paving stone projects of any size. There is a great deal of ground preparation involved with the proper installation of a paving stone or brick pavers. We usually need to dig up and remove the first 6″ or so of earth so we can build up the proper layers of sand and gravel that will act as the base for the new pavers. This also helps provide proper drainage and when properly compacted will help prevent any settling that may occur. We determine how many square feet of patio need. We consult with you on the materials you’d like your patio built with. We’ll get to work on the scheduled start-date and build your new patio. The end result will be a beautiful new paving stone patio on your property. The amount of work required to build a new walkway or pathway out of paving stones or brick pavers will depend on your property. With your specific design in mind we’ll need to consider the slope of the property, the type of soil that makes up your property, any rock we need to work around or remove, and the type of materials you want us to use. After a site visit by our landscape construction specialist we’ll be able to offer you an accurate cost estimate. Why Choose Irreco For Patio & Walkway Construction? We understand that you have many landscaping contractors to choose from throughout St. Louis. 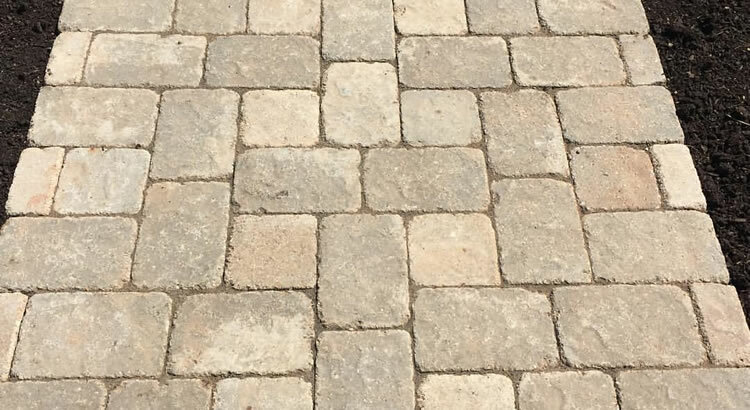 We just want you to know that when you choose to work with Irreco you are partnering with a small, locally owned business that has years of experience building paving stone walkways, pathways, and sidewalks for St. Louis properties. We can then organize a time for one of our landscape construction experts to visit your property and assess it, take accurate measurements, answer any questions you might have about having a paving stone or brick paver walkway built and then we can provide you with a competitive estimate to build your new landscape features.